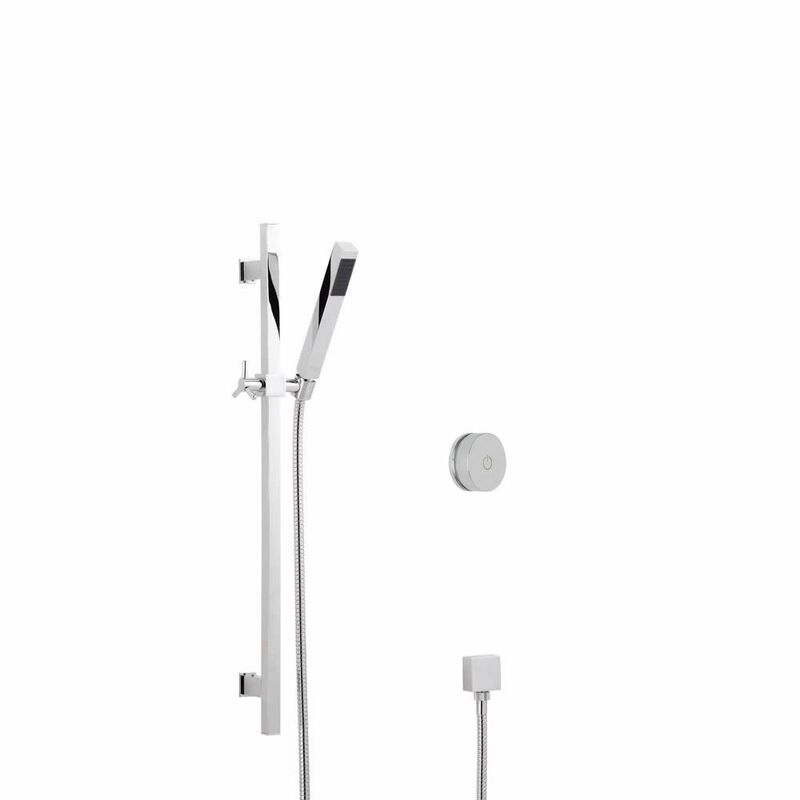 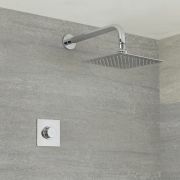 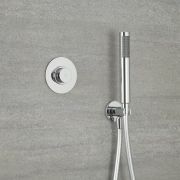 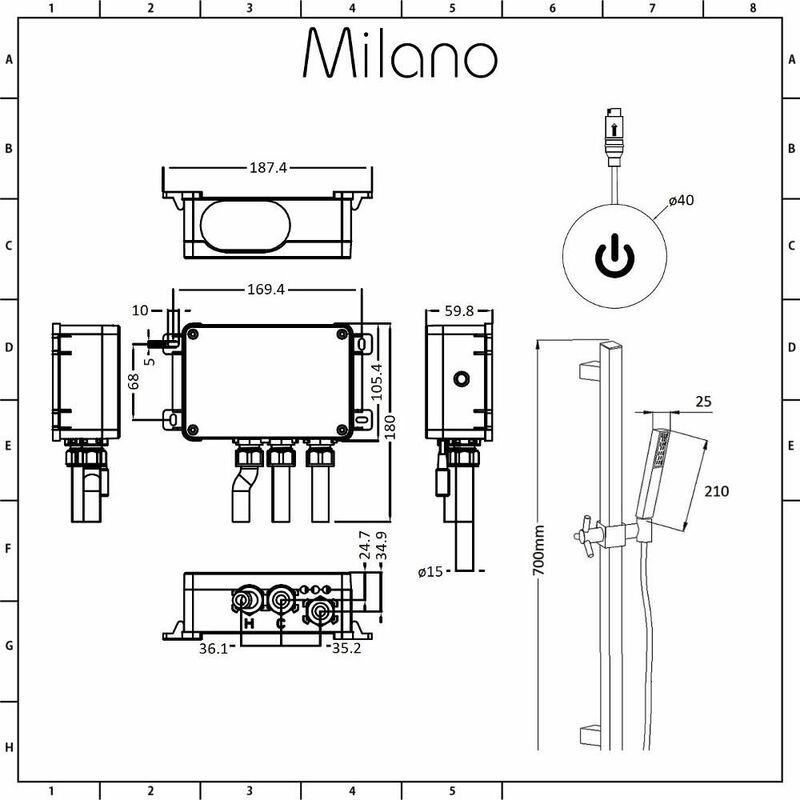 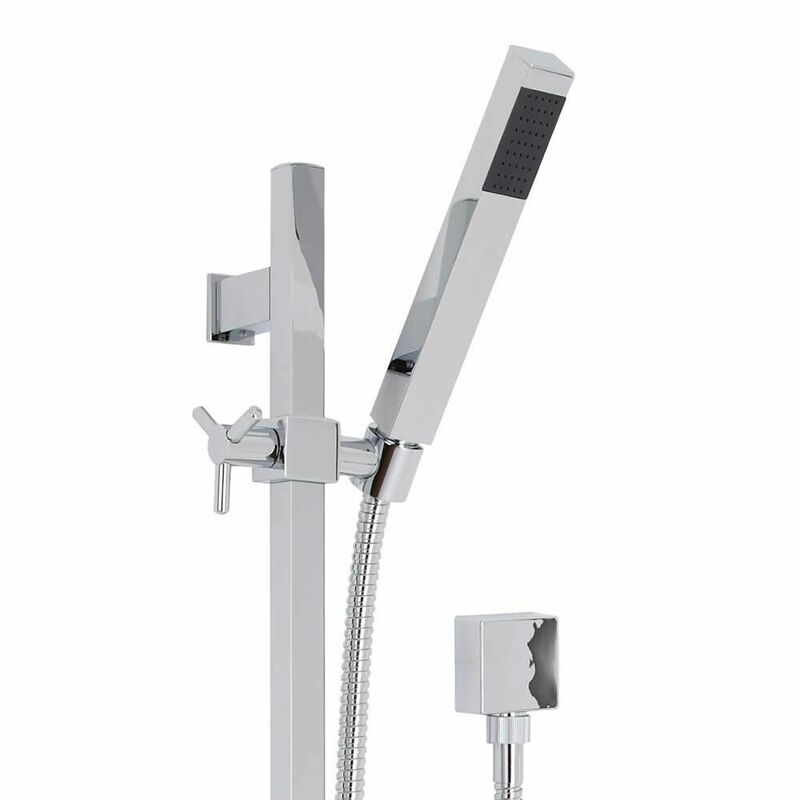 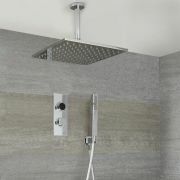 The Milano Vis digital thermostatic shower and slide rail kit will add smart designer style to your bathroom. 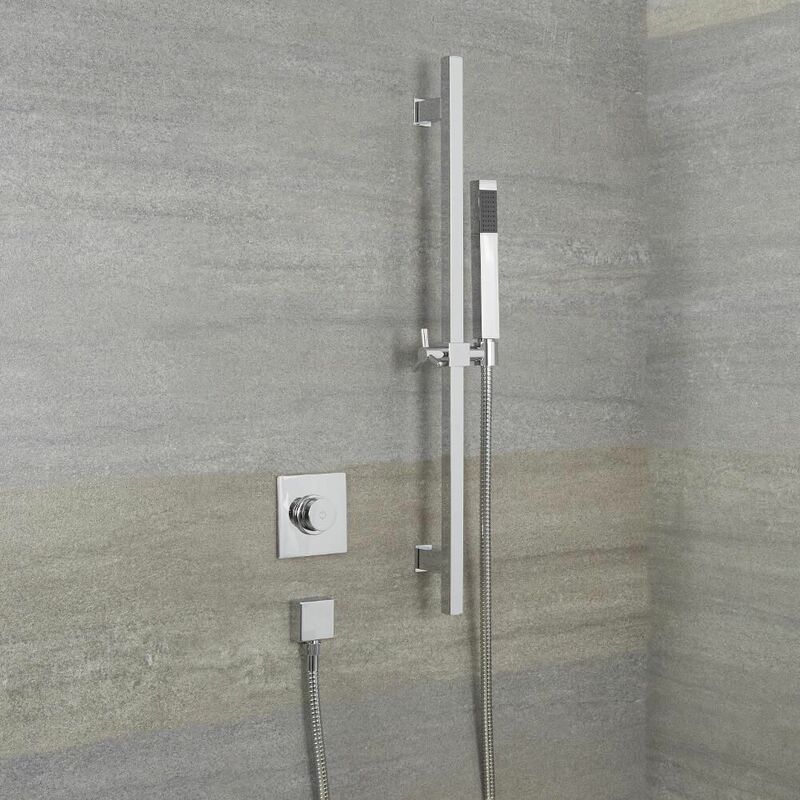 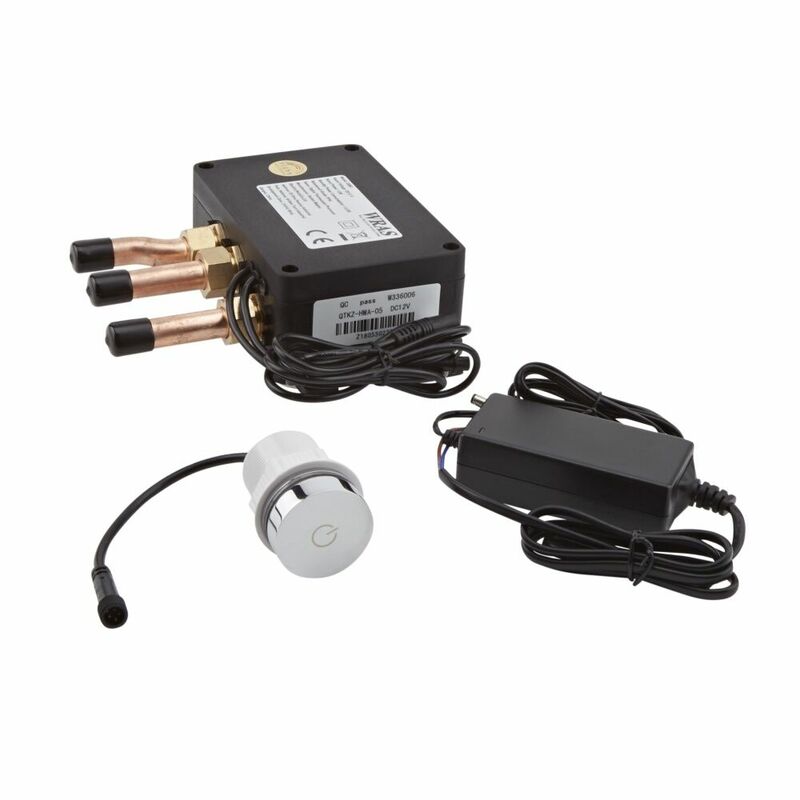 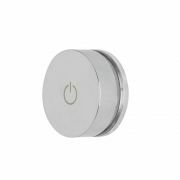 Featuring a minimalist design and a chrome finish, the digital shower provides a stylish and practical way to control the flow and temperature of the water. 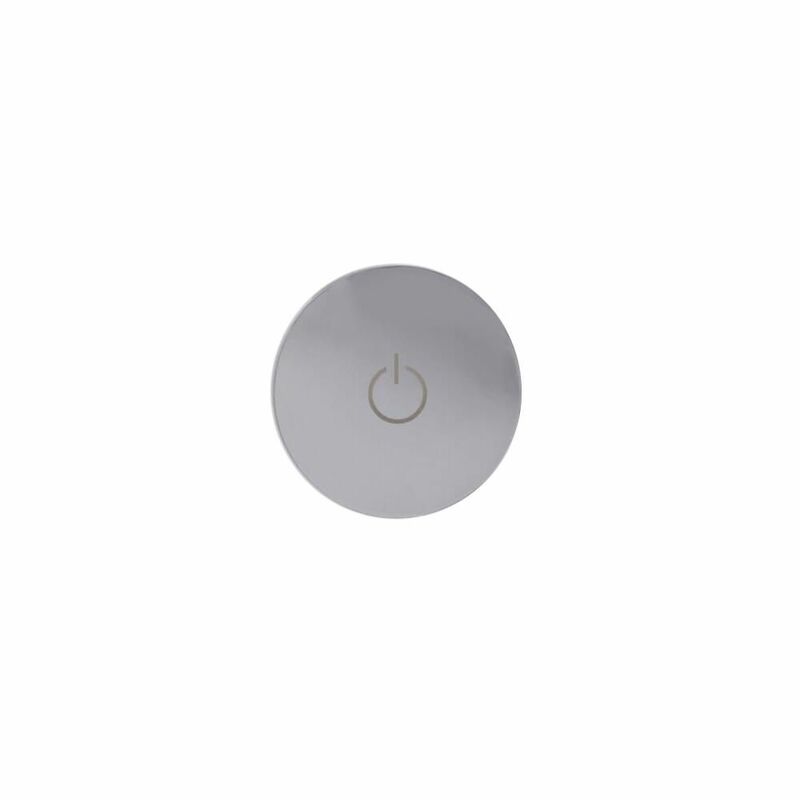 Simply press the button to turn it on and off, and adjust the temperature by turning the control. 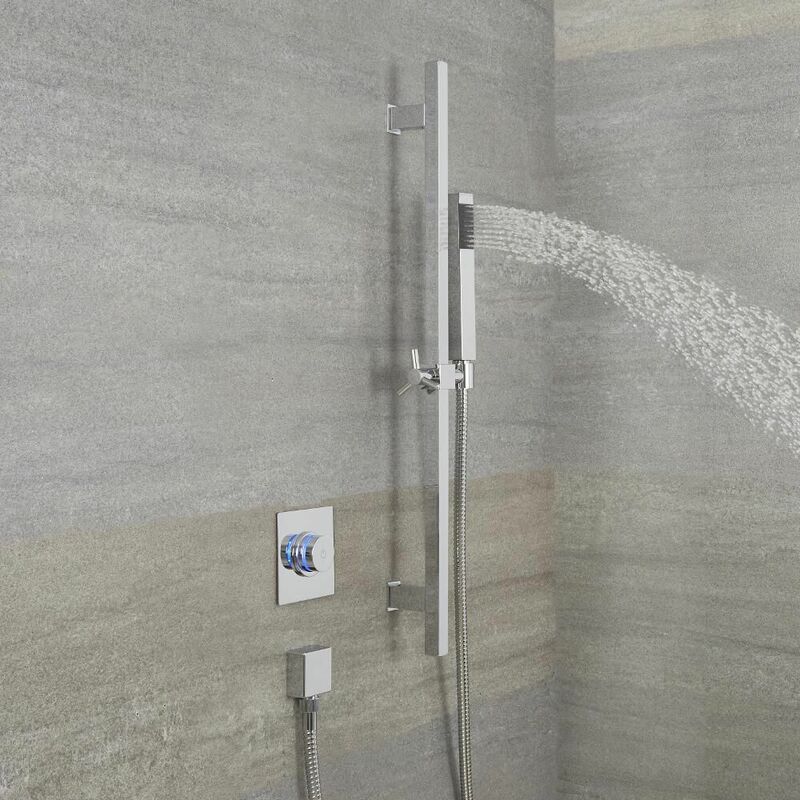 The slide rail kit includes the shower handset and hose. 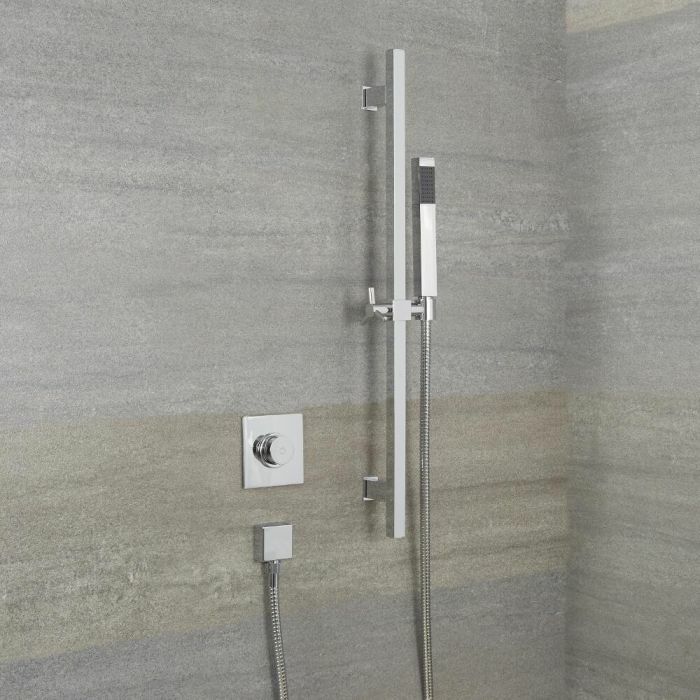 The handset can easily be adjusted to the desired height.